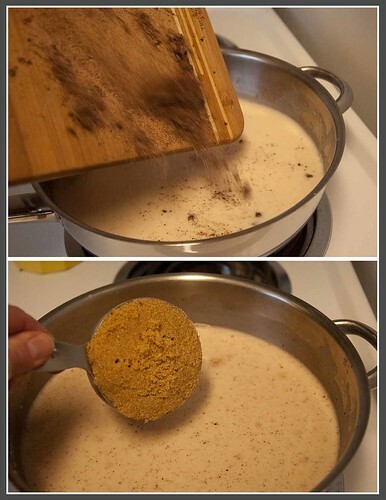 Mexican chocolate, warming spices, and masa harina make for a perfect drink on a cold rainy day. I've been wanting to make this for the longest time. Today provided the perfect cold rainy day in which to make it. 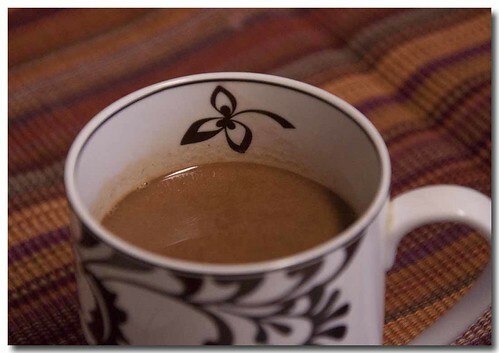 C'mon, lets wrap our cold hands around a warming mug of Champurrado. 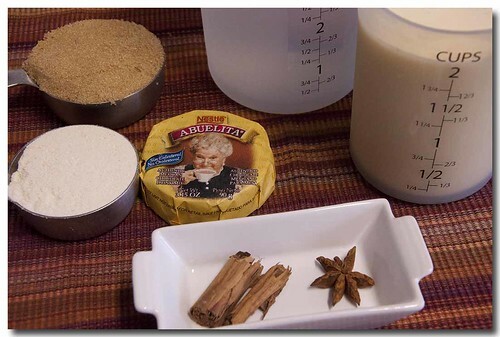 You'll need some Mexican chocolate, Abuelita (little grandmother, is the preferred brand;) water, milk, brown sugar or piloncillo, masa harina, cinnamon and star anise. In a large saucepan add the water, cinnamon and star anise. Bring to a boil; turn off the heat, cover, and let the spices steep. After about 20 minutes remove the spices and whisk in the masa harina. and the chocolate that flew off the cutting board and the brown sugar. Simmer uncovered until the chocolate is melted. Put on your jammies, you know, the ones with the feet and cuddle in with the best cup of hot chocolate. In a large saucepan add the water, cinnamon and star anise. 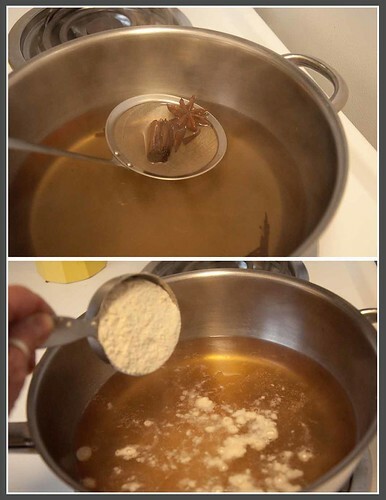 Bring to a boil; turn off the heat, cover, and let the spices steep for 20 minutes. 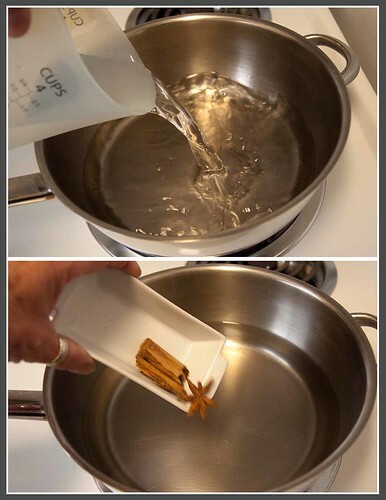 Remove the cinnamon stick and star anise, strain if necessary and return the spiced water to the pot. 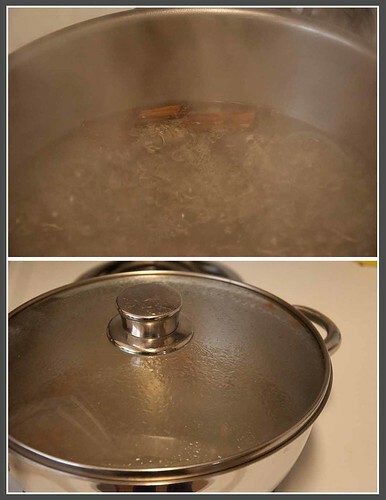 Over medium heat bring to a boil, stirring occasionally to prevent scorching. 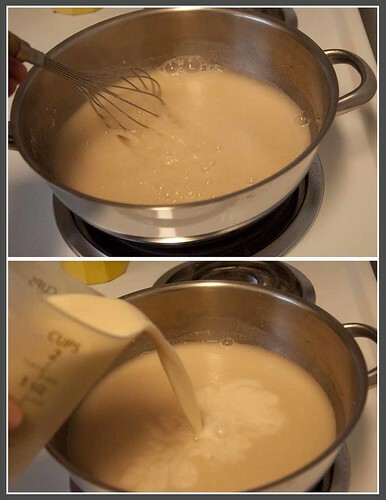 Simmer uncovered until chocolate is completely melted and sugar is dissolved, Serve immediately.